The RSMail! 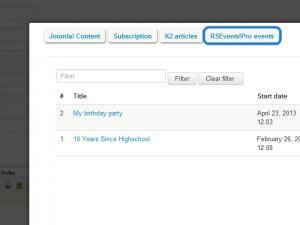 - RSEvents!Pro integration plugin enables you to add event content in your RSMail! messages. The integration is done easily via the use of placholders. 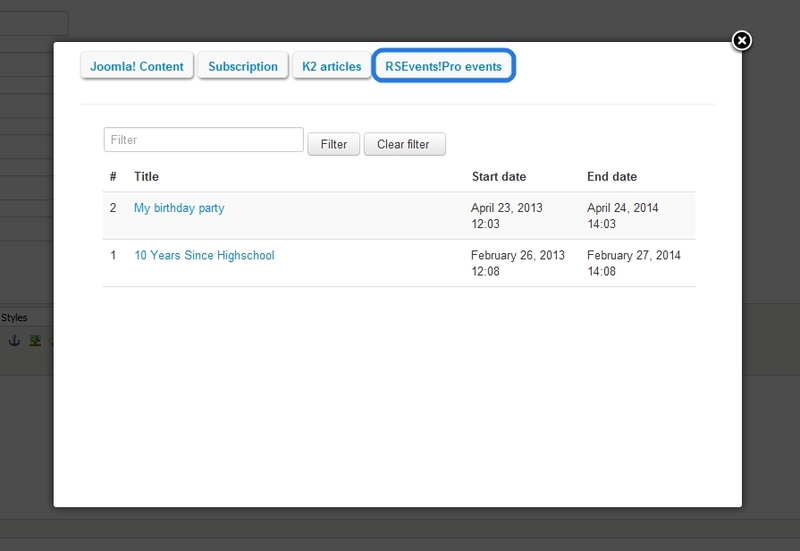 Accessing them in done by clicking the Placeholders button in the message configuration area in RSMail!